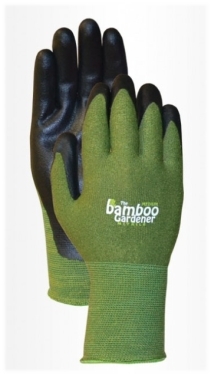 The Bamboo Gardener Nitrile Palm Glove - Bamboo Gardener Nitrile Palm Seamless knit bamboo liner keeps hands cool and comfortable. Nitrile palm coat resists punctures and abrasion. Construction - 13 Gauge Rayon Made From Bamboo, Nylon, and Lycra - Nitrile Palm Coating. 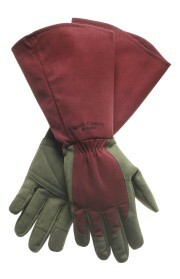 #370 Nitrile Touch Gloves - These amazing Nitrile Touch gloves are Thin, Tough, and Flexible. Great Fit and a Secure Grip. It contains a breathable Nylon Knit Liner. 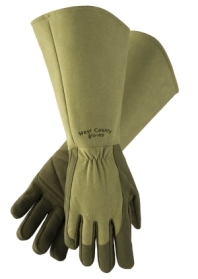 These gloves are perfect for working in the garden. Machine Washable. 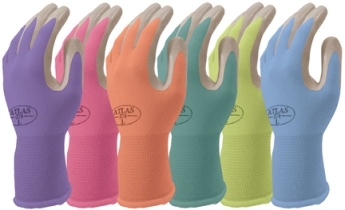 These gloves come in assorted colors. We will ship whatever colors are in stock at the time. If you have a preference, please tell us your color choices in the comments section during checkout. 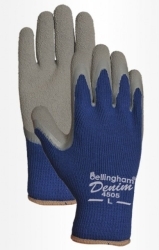 Bellingham® Denim Comfort Glove (C4505)The Bellingham® Denim Glove provides comfort and protection for cool weather work. Napped polyester liner adds cushion and warmth. Textured rubber palm. Construction - 10 Gauge Napped Polyester - Textured Latex Palm Coating.